Republican Sens. Marco Rubio and Tim Scott torpedoed a conservative nominee to the Ninth Circuit appeals court on Thursday whom even liberals called qualified for the bench, citing college-era political comments, energizing Democrats, and creating a new line of attack against the confirmations of dozens of other judicial picks, including Brett Kavanaugh for the Supreme Court. Ryan Bounds, an Oregon federal prosecutor who clerked for Judge Diarmuid OScannlain on the Ninth Circuit, had an impressive array of credentials that impressed people on the left and the right. Even the left-wing American Bar Association (ABA) unanimously voted to rate Bounds as qualified for the Ninth Circuit after they reviewed his full record, showing that even those firmly aligned with liberal priorities acknowledge that college-era political riffs do not disqualify someone from a federal judgeship. But what should have been a historic moment for the Trump administration and the Republican Party to nominate a qualified judge ended in a failed nomination due to Rubio and Scotts efforts to take down a conservative judge due to misgivings about the nominees writings in a college newspaper. Scott privately told Rubio on the Wednesday before the vote that he had concerns about Bounds racially insensitive writings in the Stanford Daily, a conservative college newspaper, back in 1995. The Republican Party must expunge the RINOs from its ranks. RINOs are simply a fifth column for the Democrats. Rubio is getting under my skin. That’s why I seriously hope Republicans gain at least a couples seats in the Senate this November. The current situation is untenable, one or two Republican Senators can get a bug up their but and hold the entire administration hostage, just like Corker shut down all judicial nominations for six weeks until he got some show vote on a piece of legislation he was demanding. When the new more-Republican/more-conservative Senate is sworn in next January, Trump should resubmit this worthy nominees name. This should be of concern to us, because the ABA is anti-constitutional! Trump should do a lot better. We need a Neil Gorsuch on the Ninth Circuit times ten, if we are going to have any “balance” at all in this circuit court. Better still, Trump should be working openly to split up the Ninth Circuit. That would literally gut the entire party. Time for a new party, the American party. You know for certain that he’s “worthy?” Trump hasn’t done all that well with his non-judicial appointments ( can you say Sessions, Rosenschmeckel, Wray, Coats, et.al. Why should we not take another look at this guy before giving him a lifetime appointment to the worst Circuit Court in the country? He already got under my skin th first time I saw him on FR. Knew back then he was an pro-illegal cuban and still is. Just like Bernie, he’s been bought and paid for by the Deep State like Ryan..
Rubio we know about. But et tu, Scott? We MUST replace them with patriots. So, your judgement is superior to that of Senator Scott? So much for these two racist frauds. The Ninth should be completely torn apart and rebuilt. This guy would have been a good start. Rubio is on the side of Mexico since he’s a co-ethnic. Nothing but a Spanish ReConquistador. 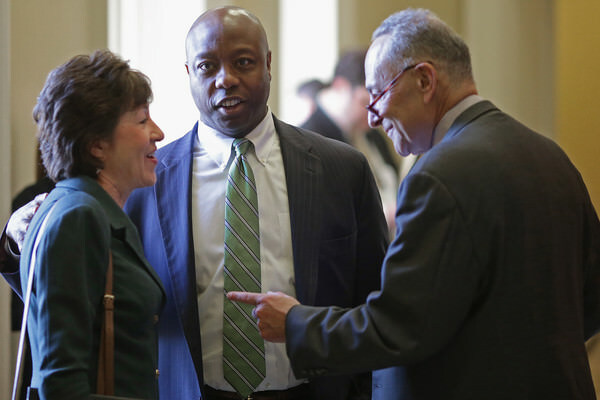 And if Tim Scott is going to smear any white male to the right of Joe Biden because of opposition to affirmative privileges, then let’s just forget about the guy and primary him. It’s going to get worse. AZ is going to still have two amnesty Senators. McSallycain will be the next Flake. Meghan will be appointed to replace her Daddy. Utah Morons will elect Romney. Rubio, Ryan and Scott 3 treasonous RINOs. 2 faced snakes or are they really swamp eels? Sticks and stones may break my bones, but names will never hurt me. I think that was learned by the first grade in my youth. I cannot believe we still have so many gutless senators. 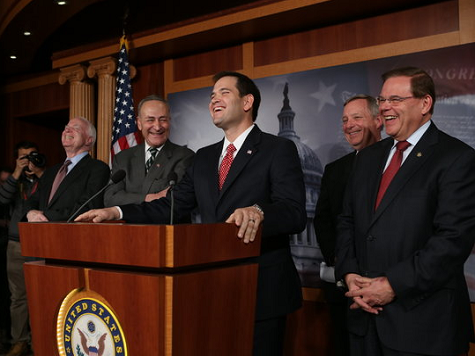 Hopefully after November we the people have sent President Trump enough Deplorable reinforcements that assholes like Rubio and the other swamp dwellers will be very marginalized. I think the feeling was that the Democrats shouldn’t be handed a campaign/fund-raising issue. The braying is all about raising big money. I’m pretty sure I could have a nice European trip with the money my government pension paid Democratic neighbors are conned into giving each year to the issue-brayers.